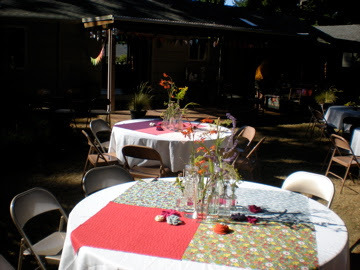 Bright, colorful fabrics were a major decorative element of our backyard BBQ wedding reception this past summer. After the festivities, I made several quilts from the fabrics. Here is the one I made for us. Of course, it is my favorite log cabin style pattern. I machine pieced and machine quilted it.